St. Mary’s N.S. 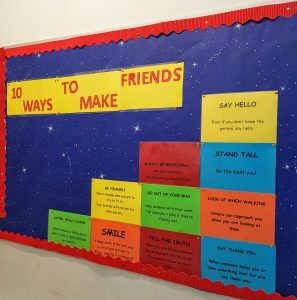 celebrated Friendship week in February and there were many planned activities happening in all classrooms. 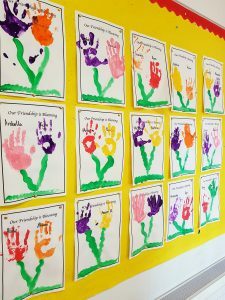 The meaning of friendship was explored in each class where children discussed what it means to be a good friend to themselves and to others. 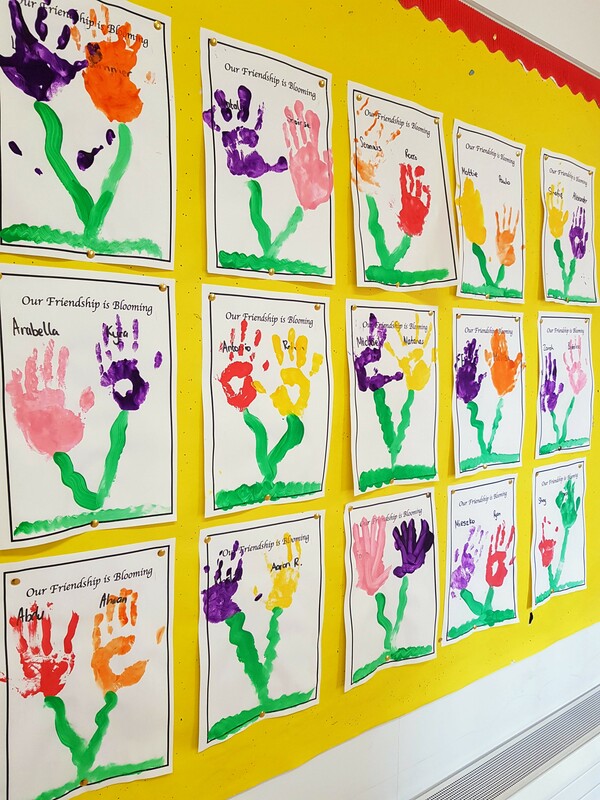 Junior and Senior Infants took part in creating friendship chains which are displayed on classroom doors as a sign of our friendship. They also worked in pairs to decorate friendship hand prints. First and Second classes were invited to listen to the story of Starry Eyed Stan and they also created friendship wreaths in groups. Third and Fourth classes used a friendship jar each day where they picked out one kind act which they could complete that day or over the course of the week. They also took part in ‘compliment showers’. 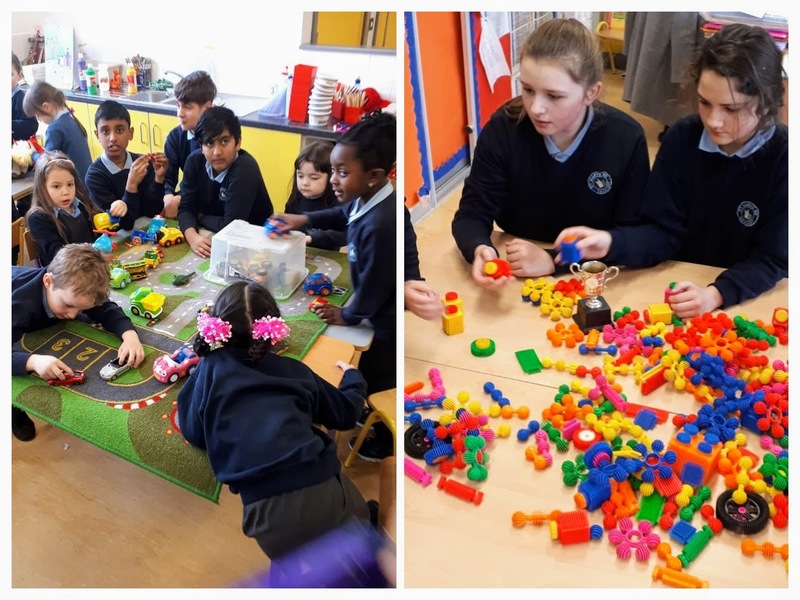 Fifth and Sixth classes visited the Infant classes for play time. 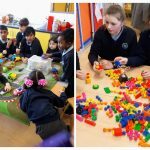 This was a fantastic opportunity for all children to interact with each other and learn from each other. All classes enjoyed singing ‘Count on Me’ by Bruno Mars. 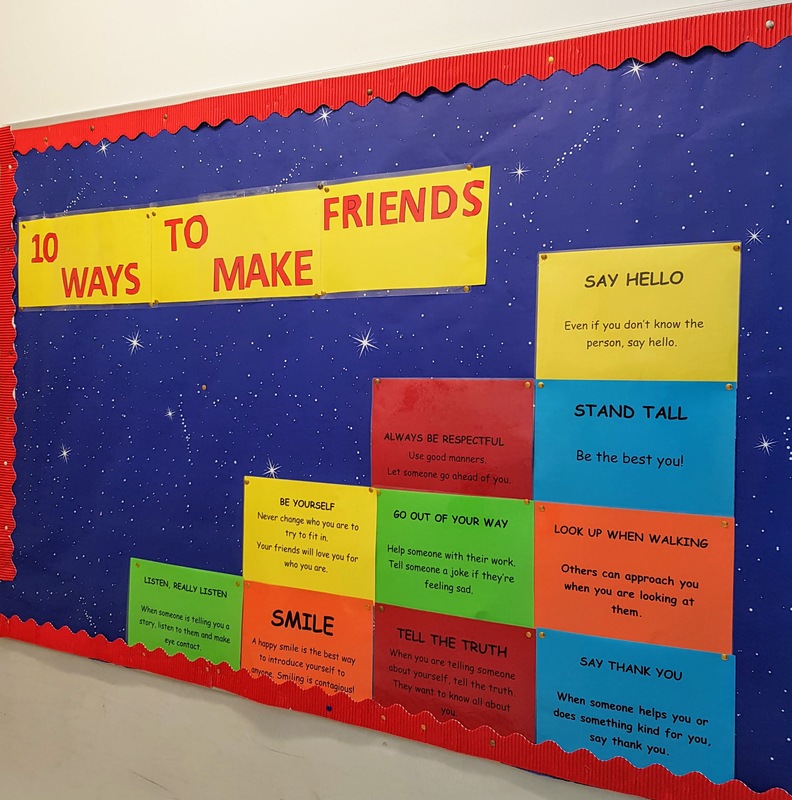 These are some of the fun activities children took part in during Friendship week. Well done to everyone!